Do you love tough outdoor challenges, like running, cycling, trekking, camping, fishing, hiking, hunting, marathon, but feel so hard to find the effective hydration bladder? If yes, this Gelindo water bladder is definitely your best choice. With the capacity of 2.5L to hold enough water, this bladder works great for most hydration backpacks. Perfect companion for running, riding, walking, hiking, camping, hunting. 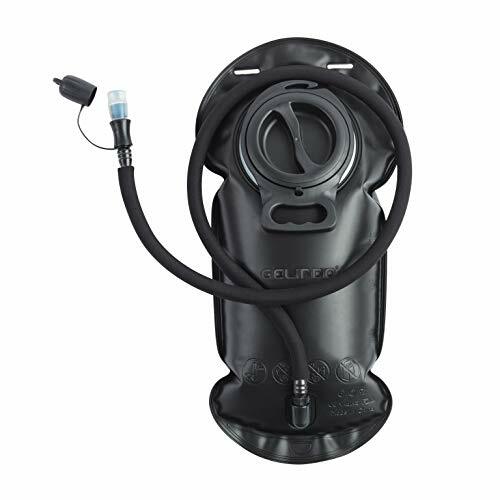 Why Choose Our Gelindo 2.5L Hydration Bladder? - Premium anti-bacteria EVA material, BPA free and FDA approved. - Detachable drinking tube for better cleaning, drying and storage. - High-flow bite valve with dust cover. - Gelindo’s 100% satisfaction guarantee and easy-to-reach customer service. Click ‘Add to Cart’ now to get the best water bladder!